Isn't it cute? Just had to share it with you guys. 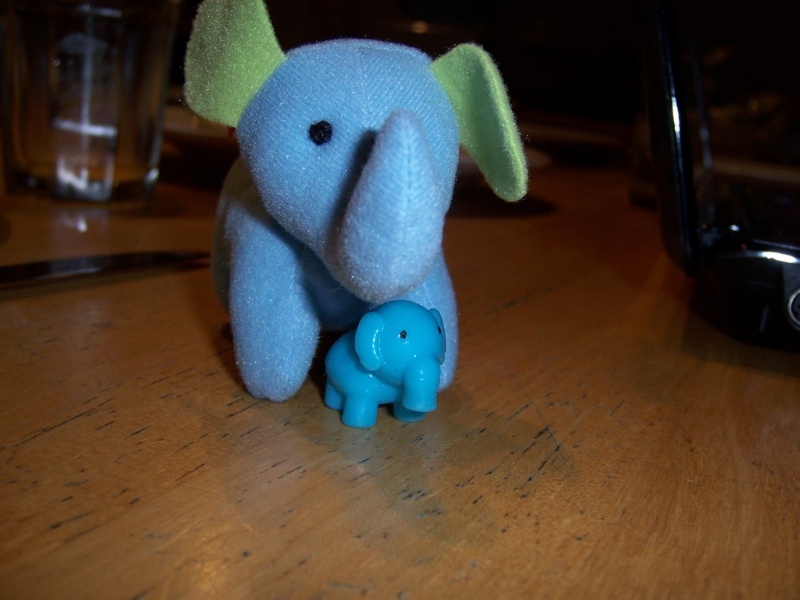 It's molesting that poor blue baby elephant!! Yuh huhhhh. He said so. I asked him. I think the big one is more photogenic. The baby one looks down, must be the recession.